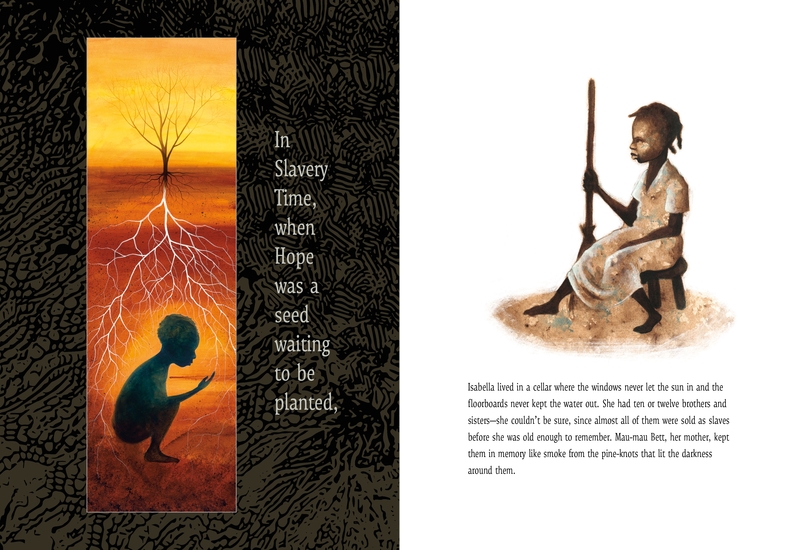 Summary: Each section of Isabella Baumfree’s life (later renamed Sojourner Truth) begins with a page that starts “In Slavery Time”. “In Slavery Time, when Hope was a seed waiting to be planted,” or “In Slavery Time, when Happiness was a dream never coming true,”. The last few sections begin with “In Freedom Time”. Each section tells part of Isabella’s remarkable life, starting with her childhood in slavery, and continuing with the determination that eventually led her to run away to freedom, and to bring a lawsuit to demand her son be returned home from a plantation in Alabama (he was). Fifteen years after running away, now calling herself Sojourner Truth, she traveled across New York, to Washington, D.C., and to other parts of the country, first working to end slavery, then later speaking for human rights in other areas. She died in her 80’s, and the book ends with her quote: “My lost time that I lost being a slave was made up.” Includes a biographical note and an extensive bibliography with notes about the various sources. 48 pages; grades 2-5. 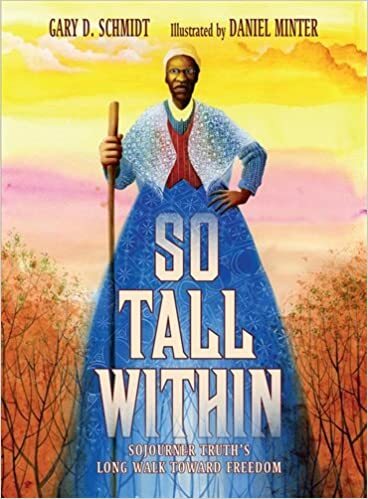 Pros: The poetic text and stunning illustrations give a compelling outline of Sojourner Truth’s life. The excellent bibliography will help readers learn more. Deserving of an award or two for both the writing and the illustrations. Cons: There are some disturbing elements to Sojourner Truth’s story which young readers may need some help with.